Does your child struggle to understand his homework assignment? Is she using new vocabulary words? Does he come home with funny stories about the other students? Whether your child is in elementary, middle or high school, a peek inside the classroom can provide valuable insights for a parent. 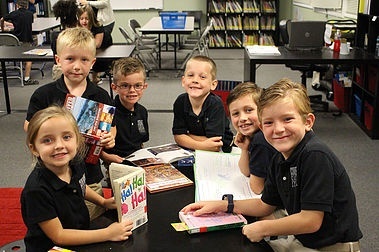 Here are 9 reasons to visit the classroom. 1. Keeping it in Context – Often, our children tell us stories about what happened in school. So and so was out of control, the teacher gave too much homework, etc. Visiting the classroom allows us to see with our own eyes the interactions between students and teachers, and students with each other. 2. Respect in the Classroom – Do teachers respect the student and do students respect the teacher? Gauge both the words of the teacher and his or her tone to see if he or she inherently respects the kids. Do students listen during a lesson or do they talk back to a teacher? Lack of respect on the part of teacher or student is important to be aware of and might require intervention from the school’s principal or headmaster. 3. Teaching Style – Some teachers prefer to lecture, while other encourage discussion and classroom participation. Knowing your child’s teacher’s preference can give you ideas on how to guide your child’s behavior. If lectures last beyond your child’s attention span, you can discuss this with your teacher. Or if your child is too quiet or too talkative during participation sessions, you can suggest that he or she speaks up or remind your child to give other people a chance to talk. 4. 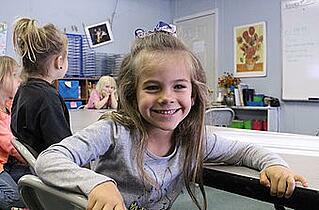 Classroom Dynamics – Every classroom and every group of students is different. Sometimes there is a leader who sets a tone for the other kids. That student might be thoughtful and conscientious or he or she might be a “wise guy.” Sometimes there is no one in a group of students who is willing to speak up. Other times, everyone wants to talk at once. Understanding the personality of your child’s classroom will help you know where your child fits in, and whether he or she is a leader or a follower. 5. Classroom Set Up – Are there comfy couches in your child’s classroom or are the desks arranged in neat rows? Couches or circular seating typically suggests a more informal setting, while rows of chairs provide a traditional environment. Knowing how the classroom is set up will give you a context for some of the stories your child brings home. 6. Class Participation – Does your child complain that the teacher always calls on her or that he feels ignored or invisible? Maybe the child’s seat is out of the teacher’s line of vision. Or maybe he or she has a hand up every time the teacher asks a question. Either of these situations can be addressed by communicating with the teacher and/or the student. 7. Noise in the Classroom – Is the class loud or quiet? Classroom noise can vary depending on the students and a few other factors such as outside construction or lawnmowing. If your child continually misses certain lessons, it’s possible he or she simply couldn’t hear what the teacher said. If this is the case, you could ask the teacher to close the window or move your student to a seat closer to the front of the class. 8. Homework Load – How does the teacher communicate about homework? Does he or she write assignments on the board? Or is homework mentioned in passing? Observe whether your student writes down assignments or whether he just “remembers it,” which means he might also forget about it. 9. Surprise! You might learn something - In a first -grade class where kids are being taught to read, add and subtract, you might catch a teacher giving an encouraging word to one of the slower students in the class. A reminder of the importance of every child. Or you might be inspired by the passion your child’s high school teacher has for his or her subject. No matter what, go into the classroom with a sense of expectancy and an awareness that this is your child’s community. A little observation can go a long way in helping to foster a sense of joy and learning for your student. Ann Campanella is the parent of a Covenant Classical student. A former magazine and newspaper journalist, she is the author of the memoir, Motherhood: Lost and Found. To learn more about her writing, visit her website: www.anncampanella.com.